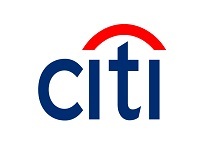 As one of the world's largest credit card issuers, Citi®, our advertiser partner, offers a variety of benefits including flexible travel rewards, cash back on purchases, and perks for small businesses. Pair that with the protection of $0 fraud liability and Citi® Identity Theft Solutions, and you've got a full-service credit card with global brand recognition. Here are some featured cards from Credit Karma’s partner, Citi. Sorry, this offer is no longer available on Credit Karma.